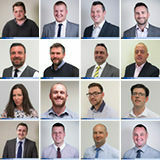 Our case studies tell the stories of projects from conception to completion and how we ensure product fit through a deep understanding of the areas we operate in. 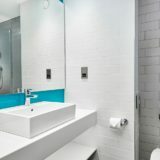 Click through to see stunning examples of problem-solving, decorative and innovative tile solutions. 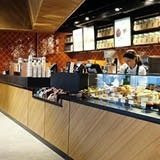 CTD Architectural Tiles is delighted to be working closely with 23.5 Degrees, Starbucks first UK franchised business partner in supplying the tiled finishes for this iconic client. CTDA supplied wall and floor tiles in a mixture of colours, shapes and finishes to create a modern and comfortable environment. Located just a short walk from Ipswich railway station and a stone’s throw away from the hustle and bustle of the town centre, easyHotel Ipswich is one of the best-placed hotels in this beautiful Suffolk town. 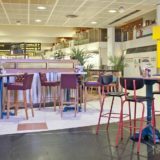 CTD Architectural Tiles are proud to have long been involved with many hotel projects and have recently supplied tiles for this latest easyHotel location. 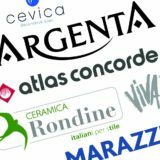 Here at CTD Architectural Tiles, we pride ourselves on our ability to provide quality tiles to fit our client’s briefs perfectly. Specification Manager Mark Hillier was able to help with the facilities manager’s slip concerns for the high traffic pedestrian entrance situated just inside the main doors in a prominent, 5 storey office building. City Campus, located in the City centre of Newcastle, is divided into City Campus East and City Campus West. 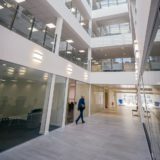 In 2018 a number of areas in the City Campus underwent refurbishment including its Student Central, to which CTD Architectural Tiles were delighted to be a part of. 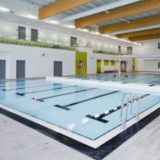 Working with Fusion Lifestyle, we recently supplied the Quayside Leisure Centre with our Block Quartz tile range for all floors and our Super Polished tile range for all walls throughout the changing rooms and café refurbishment. Fletton Quays is a major riverfront transformation project providing 20 acres of brownfield land for office, residential, restaurant, leisure and retail opportunities. CTD Architectural Tiles were delighted to be selected to supply product to this new development on the south bank of the River Nene as it winds through Peterborough. 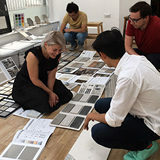 Following a major refurbishment at the St James’ Court Hotel, operated by Taj Hotels, CTD Architectural Tiles are delighted to have worked with award winning designer Sue Freeman and Dexter Moren Associates on the stylish bathroom design. The hotel operator has a commitment to “reinventing tradition”, a design aspiration that clearly works in these premium guestrooms. CTD Architectural Tiles recently supplied the tiles for Tiger Way, a mixed-use scheme providing a new nursery and primary school co-located with 89 residential apartments. Working with Architects Hawkins/Brown, Main Contractor McLaren & Tiling Contractor ABM Tiling, we were delighted to be part of a project that will provide a major boost to local educational facilities for the long-term.